It’s never been easier—or more important!—to add interactive eBooks to your library collection. Capstone Interactive eBooks provide text highlighting, audio support, the ability to customize book lists, and educator support. Capstone Interactive features nearly 5000 titles, unlimited user access, and prices starting at $24.99 per title. Our Interactive titles are just the ticket for emergent, struggling, reluctant and ELL readers! High-interest text combine with text-highlighting, read-aloud features and stellar book design to make reading a successful experience for every reader! Capstone Interactive is a web-based platform which requires high speed Internet. Use it with Mac, PC, iOS (iPad), Android Tablet or Chromebook over any type of network with headphones or speakers. Safari 6.1.6 or higher – As of March 30, 2015, support for earlier Safari versions has been discontinued. Firefox 31 or higher – As of March 30, 2015, support for earlier Firefox versions has been discontinued. Internet Explorer 9 or higher – As of March 30, 2015, support for Internet Explorer version 7 has been discontinued; and on July 1, 2015, support for Internet Explorer version 8 will be discontinued. Check if your system is compatible: click here. What is a Capstone Interactive eBook? 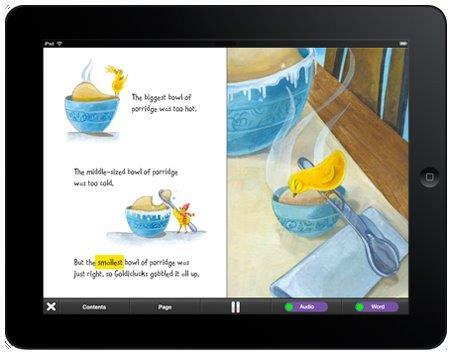 Answer: Capstone Interactive eBooks are interactive, browser-based, digital books that feature easy navigation tools and enhanced content such as read-to-me audio that supports readers of all types and ages. How is a Capstone Interactive eBook different than a traditional eBook? Answer: Traditional eBooks are flat renditions of paper books. Typically, eBooks are not designed for screen use and force students to see pages piece-by-piece through scrolling. eBooks offer no Interactive features such as audio, text highlighting, or innovative navigation. How are Capstone Interactive eBooks used? Answer: Capstone Interactive eBooks can be used in a variety of ways for any type of student. Multimedia learning environments benefit all students, and especially support individuals with learning disabilities, English language learners, struggling or reluctant readers, and gifted readers. Use Capstone Interactive eBooks with an interactive whiteboard, to extend learning with parents at home, or to reinforce print titles. Our Interactive eBooks can introduce new genres, provide supplemental support across curriculum, and increase fluency and expressive reading. Why should I choose Capstone Interactive eBooks as my eBook option? Answer: Capstone Interactive eBooks provide text highlighting, audio support, smart search options, and educator support. We offer nearly 5,000 titles, no hosting fees,no user restrictions and no specialized equipment is necessary.Capstone Interactive eBooks are the easiest and most effective eBook options for your budget. Our Interactive eBooks work on nearly all current library automation systems, are correlated with Accelerated Reader, are accessible anywhere a student has high-speed Internet access and are PC, MAC and iPad compatible. They are also available for offline reading on iPads via a free app on the iTunes App Store. Can students access Capstone Interactive eBooks at home? Answer: As long as they have a high-speed Internet connection and their computer meets the system requirements they will be able to access the titles from home. Alternatively, offline reading is available for iPads after downloading a free app from the iTunes App Store. Do we need to log in each time we use Capstone Interactive eBooks? Answer: No. With most accounts, we can automatically recognize your computer, so no login is necessary. For home access and other accounts, we will provide you with a username and password. Are there any other fees to use Capstone Interactive eBooks? Answer: CapstoneInteractive eBooks have no hosting fees and only require a high-speed Internet connection. What are the user restrictions for Capstone Interactive eBooks? Answer: Any title can be used by multiple students at the same time with no checkout limits. We only ask that you keep your login information within your school community and refrain from posting your school’s login and password in publicly available websites. I am interested in Capstone Interactive eBooks, but not ready to purchase. Can I have a free trial? Answer: Absolutely. Sign up for your Free 30 Day Trial before you decide to purchase. Is there a minimum purchase for Capstone Interactive eBooks? Answer: No minimum purchase amount is required. I want Capstone Interactive eBooks! How do I order? Answer: You can order CapstoneInteractive eBooks the same way you order Capstone print titles. Visit our website at www.mycapstone.com. You will receive an email with your username and password information once your order is processed. Are Capstone Interactive eBooks available for offline reading? Answer: Yes. You must download a free app from the iTunes App Store first. How do I set up Adminstrator level access and reporting? Answer: Please contact customer service for assistance. Student Search and Discoverability Updates, September 2015.